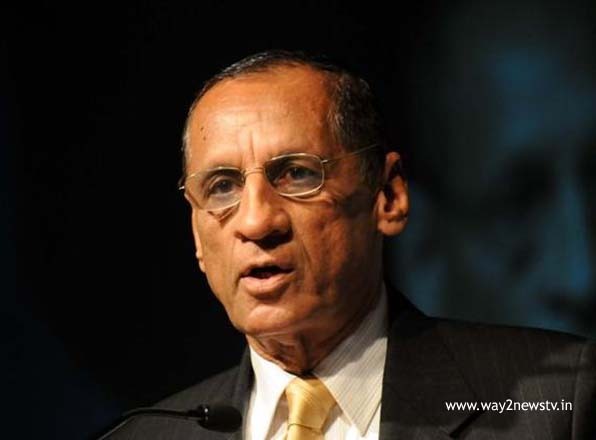 The Telugu state governor Narasimhan is nearing the time. There is also the center of the governance that both Narasimhan has to do good relations with Narasimhan. Recently, the Central Intelligence Bureau chief also met with AP CM. Both political parties suspect something similar and similar to the one in both. The center has come up with the first hand information after the combination of CMs. In the governor's meeting, the TRS sources say that KCR has clarified some of the problems with the Center. The state government's complaint is that there is no additional aid from the Center for the newly formed Telangana state. It is also reported that the old irregularities are being carried out despite the major irrigation projects being implemented and the Center has not been given a national status. However, the KCR is reported to the Governor for the need for a Third Front politically. Specifically, Banerjee and Deve Gowda are discussing the issues of her meeting with her. The Telangana CM said that the federal front would be helpful to meet the national needs. The governor of Delhi held the program to inform the central government of the government as his responsibility. Preliminary schedule is scheduled for Delhi for two days. But in the end of the tour, the inquiry started with doubts. Recently, governor conducted a wide range of discussions with the chief ministers of Telugu states. Political issues discussed. The governor held a dialogue with the idea of ​​maintaining a clash of strain on the relations between the central governments in the position of politicians. Though Telangana Chief Minister KCR was given some clarity, Andhra Pradesh Chief Minister Chandrababu Naidu did not give a clarity. Working as a Balancing Factor Between BJP and Congress The national parties stand in a strong coalition without overriding states. The TRS sources said that KCR was analyzed as "the federal apparatus of the regional parties as a neutral force rather than a solution to the central and state disputes." "Even with extreme political conditions, there is no compromise in national integration. There is no doubt that the suspicion is also suspicious. The Kerala Government has convened a meeting of the 15th Finance Commission guidelines with Southern States. KCR has explained that the Telangana partner in this meeting was not intended to go wrong signals on ethnic unity. The KCR has clearly stated that they do not deliberately attack the central government on the government. At the same time, the BJP did not make it a target for the party. Narsimhan met with Chandrababhne, who did not go to the center seriously. Though most of the silence, Chandrababu did not convey any information from the TDP sources. Chandrababu governor has been accused of giving rise to the BJP's superiority over Pawan Kalyan's decision to distance himself from the PCC's claim that there is justice in their special status demands. There seems to be no consensus between the two. Despite the fact that the politics of the newly formed state of the newly constituted governments, the credentials have claimed that the party has not come up with contradictions. Ruling that the governor tried to compromise between the Telugu Desam and the BJP after the Governor's meeting, Chandrababu Naidu, who realized that the whole affair was getting worse. The governor's voice was based on information collected from a major media organization. Narasimhan said all the forces were against the TDP. The chief minister on a governor criticized this level of criticism. The governor's notion that he is in a constitutional position does not make sense. According to Raj Bhavan sources, Narasimhan has been seriously concerned about these criticisms. At this point, the governor has retreated with the intention of further damaging relations with the CM and the Prime Minister. If the Center is to act on the Chandrababu Government in any case in the coming period, the governor is backed up with a suspicion that he is suspected to have collapsed. Nevertheless, the Prime Minister and the Governor can not directly contact the Chandrababu with his accusations. The governor's intervention says that the patch up with the BJP is now packed up.